In his 30 years of experience, Dennis Brown has tried over 100 civil and criminal jury trials plus an untold number of court trials and arbitrations. Mr. Brown has been lead counsel in product liability and complex civil litigation matters across the United States and has represented clients pro hac vice in over 21 states. 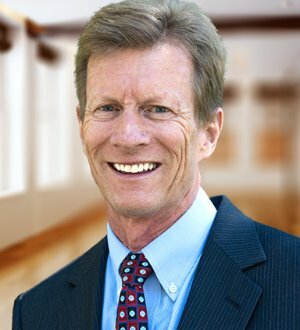 Although an accomplished trial attorney, Dennis focuses on providing pragmatic and economical advice that is in the best interest of his client, be it early resolution, mediation or trial. Over his career, Dennis has handled a wide array of legal matters, including business and contract disputes, Qui Tam actions, consumer product liability, product labeling and safety, food and beverage liability, outdoor product and equipment industry, personal injury, wrongful death, medical and pharmaceutical products. Dennis lectures on a wide range of litigation-related topics including Cross-examination, Damages, Deposing Expert Witnesses, Evidence, Fire Scene and Explosion Investigation, Traumatic Brain Injury, to name a few.